Swiss Life increased its net profit in 2011 to CHF 606 million compared to CHF 560 million in the previous year. Adjusted for one-offs and currency effects, profit from operations stood at CHF 793 million, representing a substantial improvement over the previous year's figure of CHF 751 million. This was mainly driven by the outstanding investment result, improvements at operational level and ongoing cost management. The net investment result of CHF 4.3 billion corresponds to a net investment return of 3.8%; total investment performance was at 7.4%. The Group is maintaining its focus on profitable growth and grew in key strategic business areas. Compared to the previous year, premiums fell by 10% in local currency to CHF 17.1 billion. In its home market of Switzerland, however, Swiss Life grew by 6% to CHF 8.1 billion. Thanks to the MILESTONE programme, Swiss Life made further operational advances and has already achieved most of its targets one year earlier than planned. Shareholders' equity rose by 23% to CHF 9.1 billion. Group solvency stood at 213% at the end of 2011 (2010: 172%). The Board of Directors proposes that the Annual General Meeting approve a distribution of profit of CHF 4.50 per share. After adjustment for one-offs and currency effects, Swiss Life increased profit from operations in 2011 by 6% to CHF 793 million (2010: CHF 751 million). On a non-adjusted basis, profit from operations climbed 1% to CHF 699 million. At CHF 606 million, net profit rose CHF 46 million or 8% over the prior-year figure. This corresponds to earnings per share of CHF 18.87 and a return on equity of 7.3%. In Investment Management Swiss Life achieved a net investment result on the insurance portfolio of CHF 4.3 billion, corresponding to a net investment return of 3.8% (2010: 4.1%), which again represents an excellent result in the current market environment. Swiss Life grew in key strategic business areas despite difficult market conditions. The Group generated overall premium volume of CHF 17.1 billion, which represents a currency-adjusted decrease of 10% over the previous year. Performance in the home market of Switzerland was very encouraging, with premium growth of 6% to CHF 8.1 billion. “This highly positive development of corporate client business in Switzerland proves that our full insurance solutions and the security they offer meet a key customer need, particularly in these uncertain economic times,” says Bruno Pfister, Group CEO. In France, overall premiums fell 6% on a currency-adjusted basis to CHF 4.4 billion, although the quality of new business improved as a result of an increase in unit-linked products from 22% in the previous year to 29% as well as an enhanced product mix. In Germany, premium income declined by 6% to CHF 1.7 billion, attributable to lower single premiums from the capitalisation product, while periodic premium business increased by 3%. The Insurance International segment, where premium income originates largely from global business with high net worth individuals, recorded a currency-adjusted drop of 37% on the previous year to CHF 3 billion. AWD improved its sales revenues by 3% to EUR 561 million. In Investment Management total assets under management came to CHF 134.3 billion (+10%). This includes growth of CHF 4.3 billion in third-party assets due in part to an acquisition in France and the launch of a new investment group by the Swiss Life Investment Foundation. Insurance reserves totalled CHF 128.1 billion, which corresponds to a 6% growth in local currency over the same period in the previous year. After adjustment for currency effects, the Swiss Life Group increased its profit from operations from CHF 751 million to CHF 793 million (+6%). In Switzerland, the Company reported an improved segment result on a comparable basis of CHF 476 million (2010: CHF 469 million). In France, Swiss Life generated a segment result of EUR 100 million (2010: EUR 117 million on an adjusted basis), chiefly due to a lower financial result and a higher loss ratio in health insurance business. However it improved its margin in savings and retirement business and strengthened the balance sheet despite the difficult market conditions. Germany reported a segment result of EUR 47 million (2010: EUR 74 million), attributable to a lower financial result than in 2010 when measures to lengthen the duration of the investment portfolio had a positive impact. The Insurance International segment reduced its loss of the previous year from CHF 27 million to CHF 10 million. Investment Management increased its contribution to the Group result by 26% to CHF 130 million. AWD confirmed its successful reorganisation with adjusted operating profit of EUR 54 million (2010: EUR 49 million), improving its EBIT margin to 9.7% (2010: 9.0%). AWD's operating result, however, was affected by EUR 47 million in provisions for legal cases, producing overall EBIT of EUR 7 million. “Swiss Life has already implemented most of its goals under the MILESTONE revitalisation programme, one year ahead of schedule,” explains Thomas Buess, Group CFO. In relation to costs in particular, Swiss Life is ahead of schedule: By the end of 2011, the planned savings of CHF 350-400 million announced in 2009 had already been achieved, with a reduction of CHF 404 million from the cost basis of 2008. In the words of Thomas Buess, “With active capital management, we have been able to further strengthen the balance sheet in 2011.” Thanks to consistent margin management, Swiss Life has been able to maintain its new business margin at a good level: At the end of 2011 it stood at 1.2% (2010: 1.4%), helping to offset the negative impact of the volatile markets and the weak euro. The value of new business, however, fell by 28% to CHF 150 million. Swiss Life succeeded in keeping the share of modern and risk products in new business at the target level of 70% (2010: 69%). Swiss Life has a solid capital base. Shareholders' equity stood at CHF 9.1 billion at the end of 2011, up 23% on the previous year's figure of CHF 7.4 billion. The Group’s solvency ratio climbed to 213% at the end of the year (2010: 172%). Based on its internal model for the Swiss Solvency Test, Swiss Life is in the green. At the Annual General Meeting on 19 April 2012, the Board of Directors will propose a distribution of profit from the capital contribution reserve of CHF 4.50 per share, the same level as in the previous year. 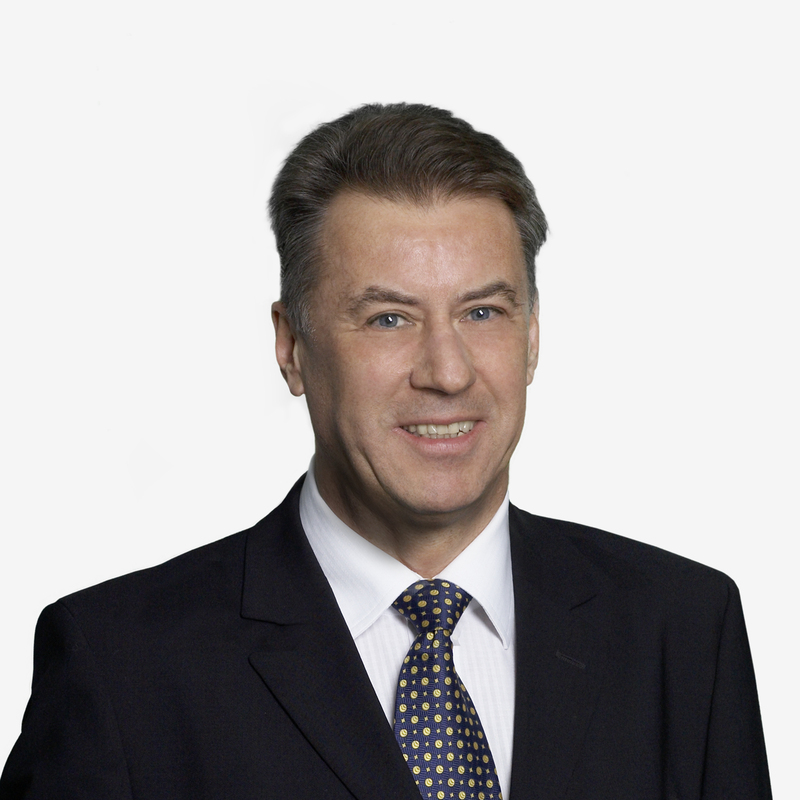 It will also recommend that Wolf Becke, a former member of the Executive Board of Hannover Re who holds a doctorate in mathematics, be elected to the Board. Henry Peter and Frank Schnewlin will be standing for re-election. The Swiss Life Group is one of Europe's leading providers of life insurance and pension solutions. In Switzerland, France and Germany, the Group offers individuals and corporations comprehensive advice and a broad range of products through its own sales force as well as brokers and banks. Swiss Life provides international corporations with employee benefits solutions from a single source, and is one of the global leaders in structured life and pension products for international high net worth individuals. The AWD Group has been part of the Swiss Life Group since 2008. Hanover-based AWD is one of the leading European financial services providers in the medium and high-income client segments and offers its clients comprehensive financial advisory services. Germany, the UK, Austria and Switzerland are the AWD Group's core markets. Swiss Life Holding Ltd, registered in Zurich, was founded in 1857 as Schweizerische Rentenanstalt. The shares of Swiss Life Holding Ltd are listed on the SIX Swiss Exchange (SLHN). The Swiss Life Group employs a staff of around 7500. This publication contains specific forward-looking statements, e.g. statements including terms like “believe”, “assume”, “expect” or similar expressions. Such forward-looking statements are subject to known and unknown risks, uncertainties and other important factors which may result in a substantial divergence between the actual results, financial situation, development, performance or expectations of Swiss Life and those explicitly or implicitly presumed in these statements. Against the background of these uncertainties, readers are cautioned that these statements are only projections and that no undue reliance should be placed on such forward-looking statements. Neither Swiss Life nor any of its directors, officers, employees or advisors nor any other person connected or otherwise associated with Swiss Life makes any representation or warranty, express or implied, as to the accuracy or completeness of the information contained in this publication. Neither Swiss Life nor any of the aforementioned persons shall have any liability whatsoever for loss howsoever arising, directly or indirectly, from any use of this information. Furthermore, Swiss Life assumes no responsibility to publicly update or alter its forward-looking statements or to adapt them, whether as a result of new information, future events or developments or any other reason.